The All Progressives Congress (APC), South African Chapter, has expressed disappointment over the continuous killings of Nigerians in South Africa and noted that it had thought that with a new government in power better approach to address the menace would have been adopted, since the previous administration paid deaf ears to the scourge. The party however called on President Muhammadu Buhari to ensure that the lives of Nigerians are safe in South Africa. Mr Sanni David, the National Publicity Secretary of the chapter, also called for tougher sanctions against the Republic of South Africa. “We expect that President Cyril Ramaphosa would take tougher stands against such acts of criminality and afrophobia against their African neighbours. “The regime of former President Jacob Zuma paid deaf ears to such incessant attacks and with a new regime, we thought that things would be different. “The political class has not helped in any way as many leaders of the African National Congress (ANC) have made public statements that are inciteful,” David said in a statement on Thursday. According to him, with all these occurrences, it means that the vision of a borderless Africa and Inter-Africa trade been championed by the AU is a mirage if South Africa cannot tolerate other citizens and protect their lives. “There is no country that can stand on its own, without some form of bilateral relationship. Diplomatic relationships must be respected and upheld at all times. “We cannot afford to bury our citizens because of a government which has failed to act and bring to book lawless and lazy youths,’’ he added. According to him, the Chairman of the chapter, Mr Bola Babarinde, is of the opinion that African leaders show love to their citizens first, in order to engender their citizens’ desire to love others. David quoted Babarinde as saying, “enough of hatred among Africans. “Yes most of the attacks are criminal in nature but something always triggers these acts of criminality which occurs mostly during or towards elections. “We are planning our Victory gala Dinners for April 13, most of our invitees turned down our invitations because of fear of attacks which honestly is a great concern and we respect their decision. “South Africa is losing billions in tourism investment yet the people that benefit more from government spending are those causing these problems. “African countries need to spend more money on educating their citizens on why there should not be discrimination among us, we are one family’’. 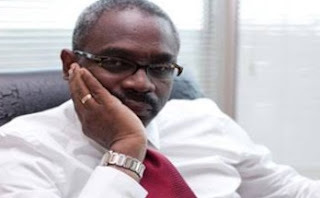 David said that Babarinde described as unfortunate the reactions of some chieftains of the South African ruling party and the press to the recent xenophobic attacks on Nigerians. 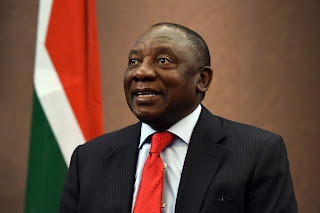 “Ramaphosa has not been sensitive enough in their utterances which may be termed otherwise by less informed South African citizens who eventually take laws into their hands. “Nigerian Government should summon the South Africa Ambassador for an explanation. Elections are fast approaching, politicians should be sensitive enough to know there will be life and relationships after the elections."